The University of Connecticut’s College Republicans invited conservative author and attorney Ben Shapiro to present his discussion titled “Say No to Campus Thuggery”, according to Young America’s Foundation website. About one and a half months after D.C. Bureau Chief and White House correspondent for the Gateway Pundit Lucian Wintrich’s speech “It’s OK to be White” caused controversy across the UConn campus last November, the invitation has led the university to put their newly revised speaker policy to the test. While the revamped policy includes pre-event scrutiny, according to Reitz, the university will not restrict the speech’s substance. “The review process is not based on the content of an event; we don’t regulate based on content,” Reitz said. The College Republicans were not available for comment. 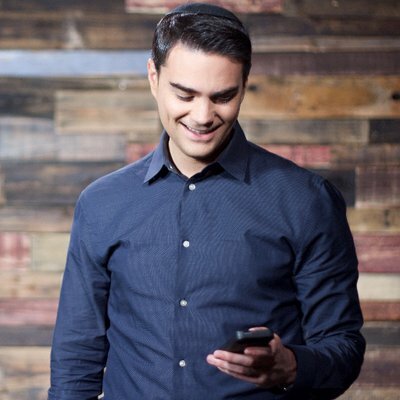 Shapiro is editor-in-chief for the conservative news website The Daily Wire and co-founder of the media watchdog organization TruthRevolt. Shapiro is also the author of six political books, his first being Brainwashed: How Universities Indoctrinate America's Youth. “Never back down: The 10 rules for debating the left, why the left hates the constitution, how to combat university liberalism and television’s war on conservatism,” are the topics of focus for the UConn event that Shapiro laid out on the foundation’s website. According to Shapiro's Twitter, Shapiro does not agree with Wintrich's notes being taken during Wintrich's speech in November, or with Wintrich's reaction to the notes being taken. “1. Stealing people's notes is dumb and bad 2. This is a NUTS response to someone stealing your notes,” Shapiro said in a tweet on Nov. 28.